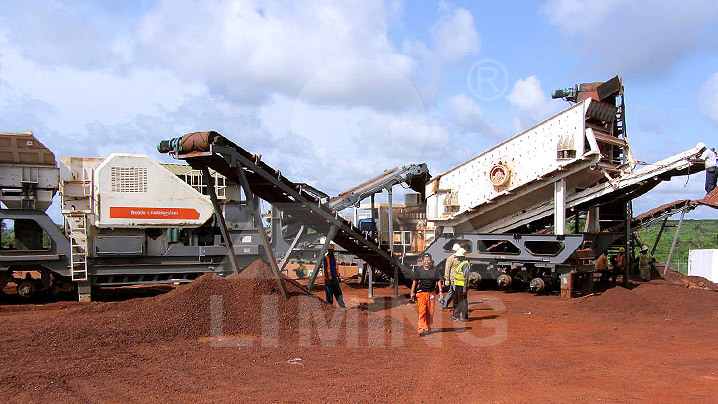 One of our Zambia customers bought a mobile crushing plant of 250tph for iron ore processing. The production is stable and the equipment’s operation is reliable. The equipment has a great savings to the installation costs and labor costs throughout the whole process. It will bring big benefits to the customers. Equipment: Two tire type mobile stations, YG1349EW8 and Y3S2160HP220 (EC), including feeder GZD1300X4900, the jaw crusher PEW860, cone crusher HPT220, vibrating screen 3YZS2160 equipment.